It's a true honor to be standing here, in front of you. I have known Millie since 2000, when I joined MIT. She was down the hall from me — in fact, her office is on exactly the opposite side of the hall from mine. And I remember, when I first came to MIT, I was surprised to find that there was an office for “Dresselhaus” — a name I recognized from many of the papers I had read in order to complete my own PhD thesis. It took me a few months to realized it was the same person! Hence, my awe of her ability to develop new ways of thinking, and my awe of meeting Gene — who very adamantly liked the cookies that I would leave on the table in my office, and who would stop by, many times, to take advantage of them. I must say, I spent some amazingly, amazingly wonderful times with both him and Millie. So I wanted to give you a glimpse of what's next — because, in some ways, Millie is still here. Her legacy stays with us. There are plenty of things for us to do in the spirit of what Millie has started. So I was going to share with you a couple of things that I have been talking to Millie about, over the last few years. One of the projects that we started recently, here at MIT, was the building of a new nano facility right in the middle of campus — down the corridor from Millie's office, in fact. Millie saw that building as the next step for the advancement of nanoscience and, indeed, was quite passionate about it. She was always thinking about how she could add to the project, how she could help, and how her work and her legacy could move us towards what we wanted to do next. Now, Millie has already done many things for the world. We have heard about a lot of these things earlier today, and I’m sure there are many more. 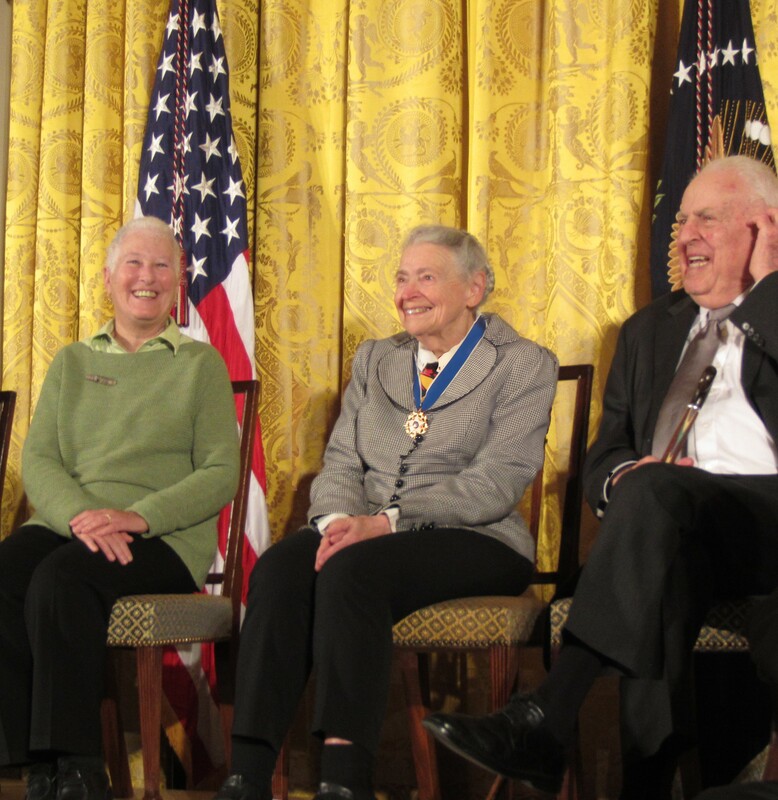 President Obama, at the 2014 Medal of Freedom Ceremony, reminded us that “when [Millie] arrived at MIT in 1960, only 4% of students were women. Today, almost half are.” Millie has influenced and advanced many scientific fields. She has served on national and international committees. And she has, many times over, helped advance people who were not well represented in science and technology. Her legacy has changed the lives of so many, and we really are all appreciative. 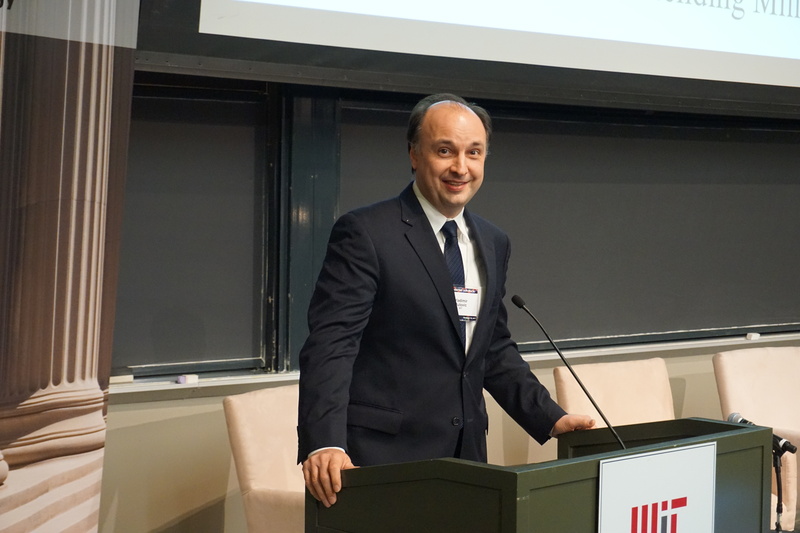 This is an image from 2015 at the Rising Stars Program, a program that Professor Anantha Chandrakasan, Dean of MIT’s School of Engineering and Vannevar Bush Professor of Electrical Engineering and Computer Science, started to bring prospective female faculty candidates to MIT and other schools around the country. Millie made sure that she engaged with them, every single time they were here, so she could tell them what to expect next if they chose to become a professor of science and technology. And, indeed, she brought us back a little medal, some pictures, and a write-up, which we used to write a news story for the MIT press, right away, about the whole event. 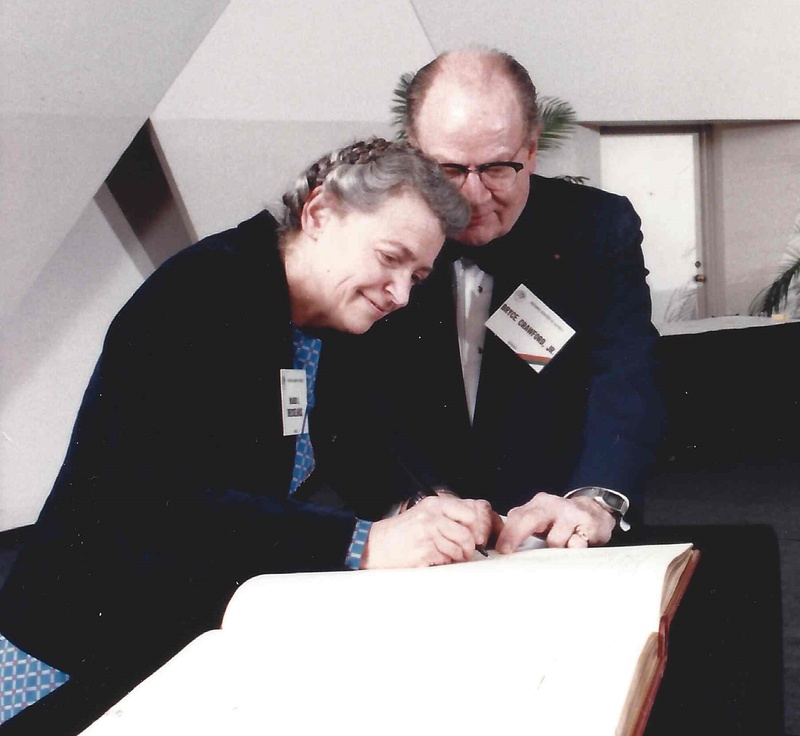 Millie was clearly a pioneer of nanoscience and nanotechnology in many ways. The mere fact that you can explore carbon the way she did, understand it physically, and be able to derive from it physical parameters that can inspire the next set of things to be done — it charted a path for many of us who followed. So, what's next? Well, we started asking ourselves, what do the young faculty of MIT work on? Because, if we could come up with a common metric — a common unit, something that unifies us — maybe we can further enhance the things that MIT does so well. And what do we do so well? We cause people to run into each other, because everything at MIT is so tightly packed, and all the buildings are connected. It's fairly easy, even on a cold day, to run into someone from a different field or area and chat with them and learn all about a completely different discipline without even trying! Chemistry, physics, molecular engineering, mechanical — they're all just down the hall from each other. And I believe it’s that unifying force of bringing people together that has really guided us. So that’s what brings us together. But what is a good unifying metric that can allow us, once we’re together, to relate to each other? Well, take a look at what the young faculty are doing, right now. Among the recently tenured professors in the School of Science, 51% of them work on the nanoscale. In the School of Engineering, 67% of recently tenured professors also use nanotechnology. And this is just at the beginning of their careers; just think how many will use it by the end of their careers! So what comes next? As time goes on, these young groups will grow into older groups. And those older groups will then go ahead and ask other young people to join them, likely in the areas of nanotechnology — which, as we have just seen, span nearly every discipline in the School of Science and the School of Engineering. Hence, we are building the nano building right in the middle of campus. MIT.nano will have: a cleanroom complex; imaging characterization; a metrology complex, down in the basement; prototyping and chemical synthesis, up on the top floor. All that, in a shared 200,000 square feet! The whole 200,000 square feet will be shared space, filled with all the tools that everyone will need ($100 million of tools, in fact) in order to be able to democratize — as opposed to, say, access — nanoscale toolsets. The shared space allows us to make this an area truly open to everyone in all fields, and it will allow and encourage interdisciplinary cross-pollination. So how many people would step into MIT.nano? When it opens and all the equipment is in place, we expect that about 2,000 people will be using MIT.nano to do their work. Over the course of a year, that number will likely double. Eventually, we expect that about half of all MIT students, postdocs, undergrads, grads, and faculty will use this building at some point in their time at MIT, and a significant percentage of those will use it heavily. Millie was very excited about MIT.nano, and she would always, with tremendous enthusiasm, appreciate the next, and the next, and the next stage of planning and construction. The building site of MIT.nano. The star is where Millie and Gene would stand and look at the new construction. When we started building MIT.nano, the first thing we needed to do was dig a hole. Millie liked the hole. She approved of the hole. I should mention, as an aside, that our builders said the hardest thing about this construction project was having 1,000 supervisors, as all the MIT faculty kept stopping by to try to decide if they ‘approved’. But Millie did approve — and that was a very good sign that we were off to a good start. Now, if you look at this picture, you’ll see a little star in the upper corner, there. That star is Millie looking out at the construction site. That’s where she always stopped with Gene on their walks together around MIT, so that they could gaze out at the construction site and marvel at what was being done. Millie shows students and colleagues the MIT.nano building site and talks about her enthusiasm for the project. Photo courtesy of Xiaoting Jia. And that was very important, because Millie has a talent for being able to “see” things. She looked at a lump of graphite and saw the potential for nanotubes, graphene, etc. She looked at her dirty laundry after a day in the lab and wondered if maybe carbon could cluster into a sort of fullerene. She looked at the stagnant field of thermoelectrics and saw a way in which it could progress by leaps and bounds. And, of course, she saw the ingenuity and brilliance of each and every one of her students and collaborators over the years — and helped them achieve their full potential. So, when Millie watched the construction crew digging that hole, what did she see? Now, unfortunately, Millie never stepped onto the construction site. However, I found the best possible surrogate for Millie — an individual who shares a lot of Millie’s great insights, and the one who first suggested to Millie that she should investigate carbon — and I asked him to inspect the construction site. Thank you, Gene, for inspecting the site for us. Indeed, as you can see here, Gene gave us a thumbs up of approval! And his approval and enthusiasm confirmed to us all that the construction is living up to everything that Millie (and Gene, himself) wanted this place to be. MIT.nano is scheduled to open by June, 2018. That is when we’ll start to move in the toolsets and outfit it properly for everyone’s purposes. It will take a few months to a year (or two) to really outfit it the way that we want — but it will be worth it. We are starting a journey that will define MIT across the coming decades. This is a place where nanotechnology will be able to flourish beyond the bounds of what we could do before, and, through it, will define and redefine every field of science, technology, and engineering. 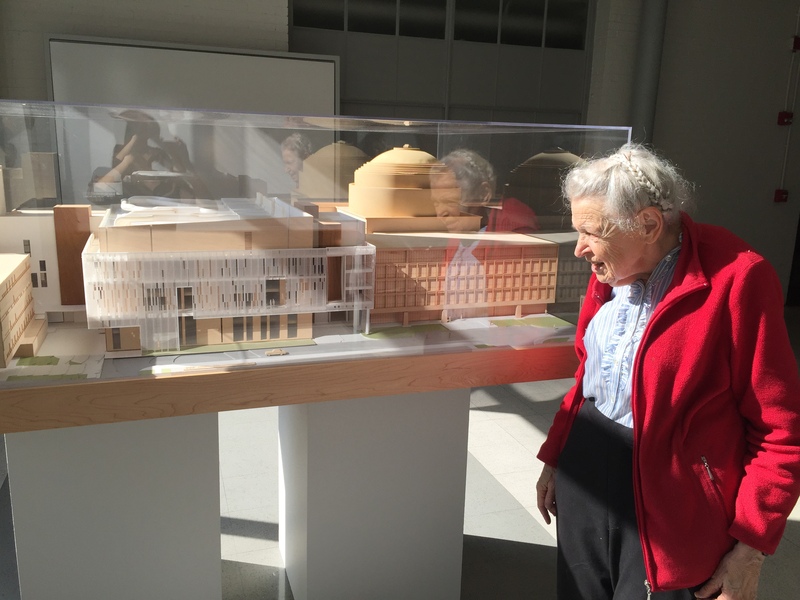 Millie looked into a pit of mud and bulldozers, and she saw the future of MIT. And, just as she was right about carbon, thermoelectrics, women in science, and the potential of all her collaborators and students — Millie was right about this, too. So we’d like to honor her. 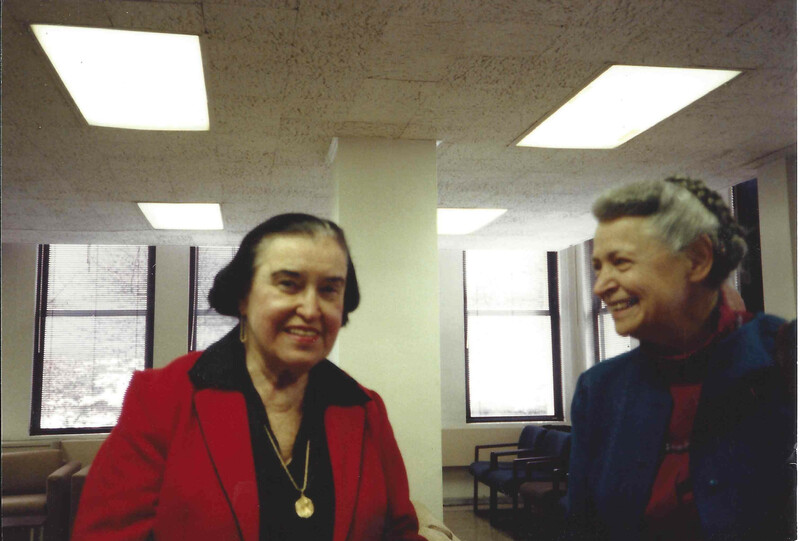 Millie and her mentor, Rosalyn Yalow, at the Herbert Otis Lecture at Lehman College in February, 1991. Rosalyn Yalow convinced Millie not to become a schoolteacher (as she intended), but to go into science. Let’s combine this sentiment with something I highlighted, before: how, at MIT, simply the act of walking across campus creates an opportunity for us to learn from each other. 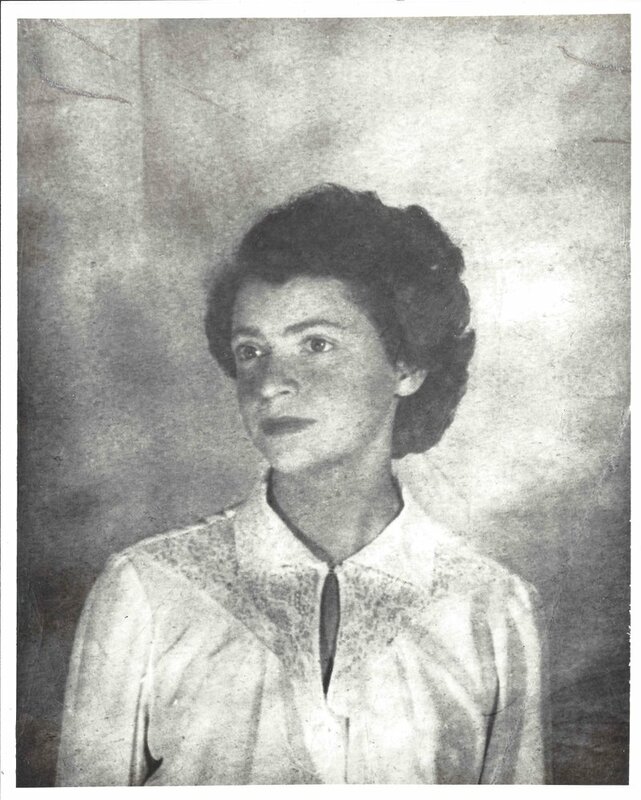 When Millie was a student at the University of Chicago, she cherished her morning walks with Enrico Fermi. Those walks allowed them to talk to one another and learn from one another, and, as Millie told me, their discussions during those walks taught her “how to think about physics.” Millie was energized by the fact that someone as famous, as important, and as knowledgeable as Enrico Fermi would spend his time with her — a mere graduate student — to tell her all about his visions of what the world should be and to share his vast knowledge of science with her. In her later life, Millie always made sure that, when she walked from Building 13 to anywhere else on campus, there was always someone with her. Millie would seek out a student or faculty — especially young students or faculty — to give them a chance to ask her questions, or to give her a chance to offer them advice and wisdom. We looked at the floor plan, which you can see above. This is the ground floor of MIT.nano. And if you look carefully, you’ll see a courtyard that runs parallel to the Infinite Corridor. And that 200 foot long path through the gardens of MIT.nano will, from now on, be known as “the Improbability Walk”, in honor of Millie. As you can see, Millie’s Improbability Walk is more than just a place; it’s the mission that Millie has left for us. It’s a call for all of you to invest in the future of MIT, so that we can allow people of all backgrounds and financial means to succeed — despite the odds. It’s a reminder that the longer and more difficult walk may ultimately be the more successful one, and that we all must walk alongside and mentor those who need help. And, of course, Millie’s Improbability Walk is reminder to all of us that a few simple words, said at just the right moment, can change a person’s world. Millie Dresselhaus, Phil Sharp, Gabriela Schlau-Cohen, Mike Sipser (the Dean of Science), and others discuss MIT.nano.